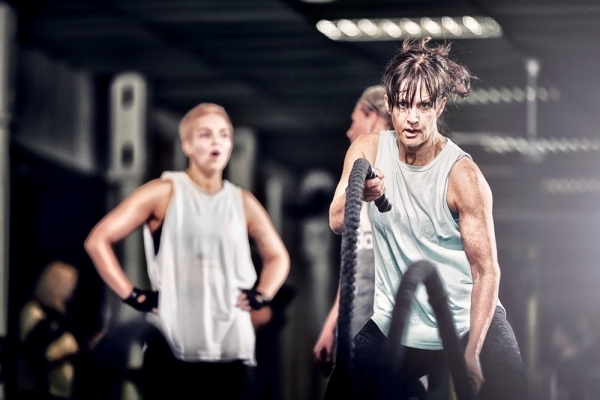 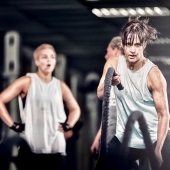 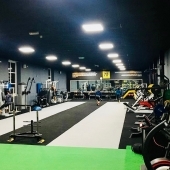 MP Fit, Birstall, Yorkshire, is one of the freshest new boutique facilities in the UK. 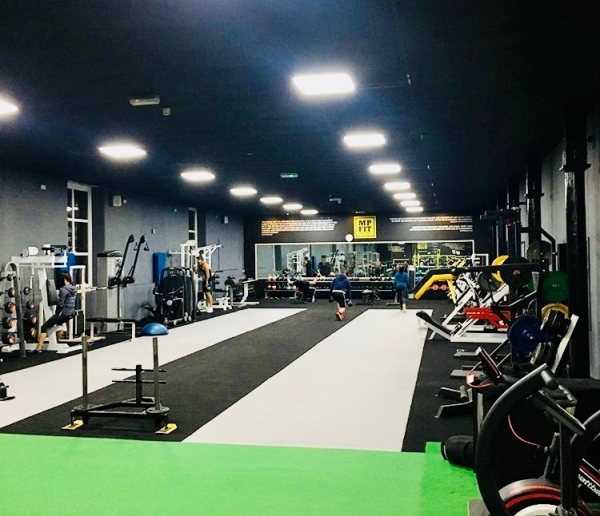 MP Fit has made optimum use of its space, and fantastic neon lighting, to achieve one super sleek studio, where a new boxing zone has also been incorporated. 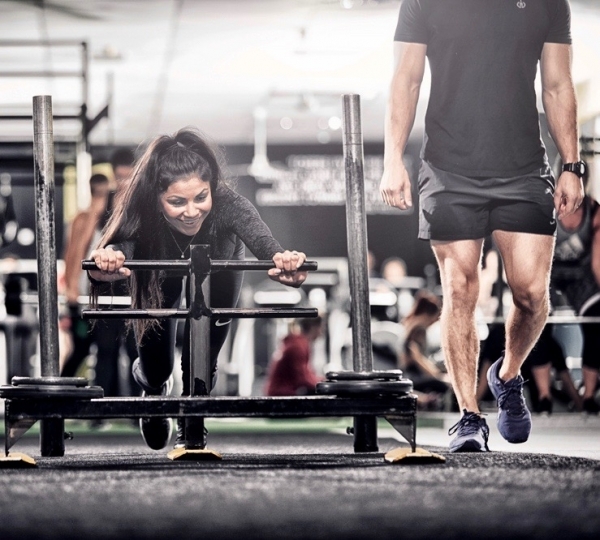 Their unique INTENSE high-tempo HIIT style transformation programme is driven towards impressive results. 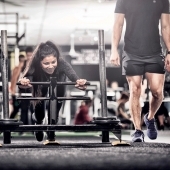 It is designed to bring an instinctive sense of togetherness within a small group to create a true "fit-family" vibe! 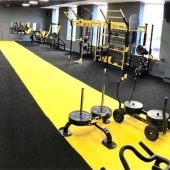 Working closely with Joel, we put together a package of striking custom studio flooring; black performance sports turf and yellow sports prowler track, along with The Tank from Torque Fitness, The Abs Company TireFlip 180 XL and Concept 2 Rowers and SkiErgs. 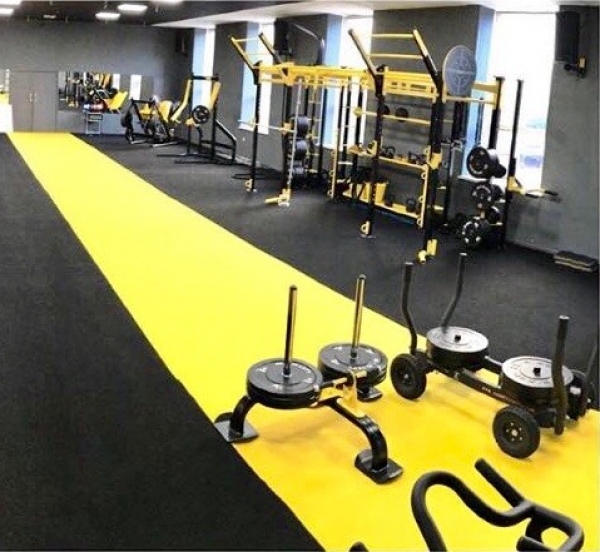 A stunning bespoke UK manufactured functional rig in black and yellow MP Fit colours was designed to accommodate up to 12 users for their group exercise classes, and includes rope climb arm, 2 power racks, monkey bars, pull up wings, integrated storage system and a comprehensive range of functional rig attachments. 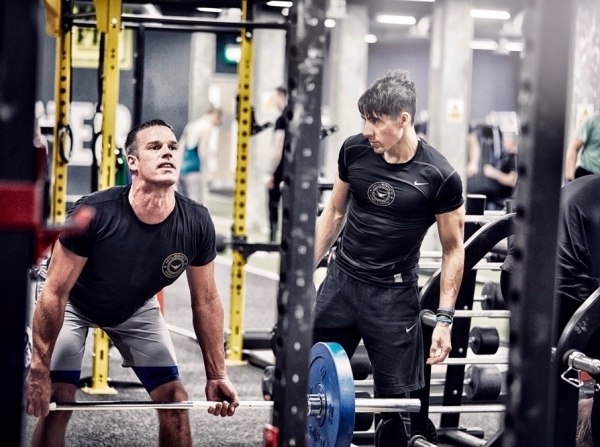 A custom coloured 45 degree performance leg press machine and plate loaded jammer were selected, and the range of accessories supplied included Olympic bars, Olympic plates, dumbbells, kettlebells, training ropes and slam balls. 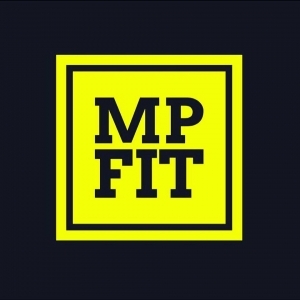 It has been an honour for CYC to work with the great guys at MP Fit on such a spectacular project.